Two of my favourite high street mascara's are the Rimmel Lash Accelerator Endless mascara and the Rimmel Wonder'full mascara. Clear to see that my go-to brand for mascara is definitely Rimmel. When my trusty accelerator mascara ran out I decide to use something different from my mascara stash. 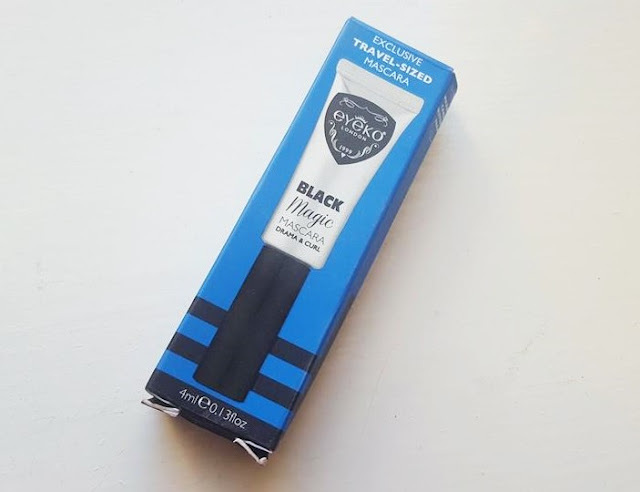 I picked up Black Magic Mascara from the Eyeko in a recent Latest in Beauty build your own box and since Eyeko is quite the premium mascara brand I thought I'd put it to the test and inform you of my thoughts. I picked up the Eyeko mascara to take with me on my week long travels. 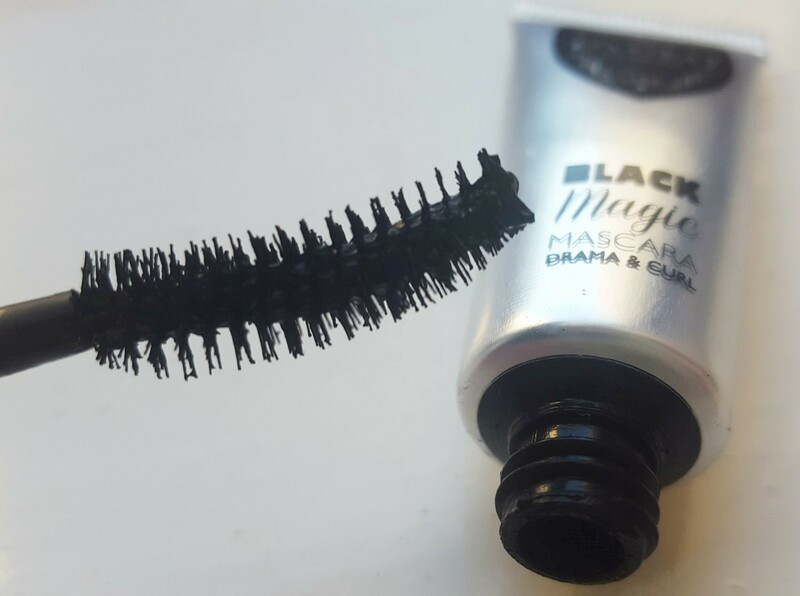 The black magic mascara is suppose to add drama and a curl to your natural lashes and it certainly added drama just not the good kind. My lashes were clumped and stuck together in nothing but a big mess. I found it added very little curl and not much in terms of length or volume either. Had I known just how disappointed I would be I'd of definitely packed a selection of mascara's to choose from but Eyeko being quite the premium brand I had high hopes and therefore didn't think it would be necessary. I'm not the first person to report that this is in fact a terrible mascara and after voicing my disappointment on Instagram I was told by numerous people they did indeed think the same. I'm thankful that I made such a huge saving by getting it in the Latest in Beauty box and didn't pay for this outright because at £17.50 it's a huge chunk of money to waste. With my huge expectations dashed on the Eyeko front I ended up taking myself off to Boots in Brighton and picking up the new Scandaleyes Reloaded mascara from Rimmel. 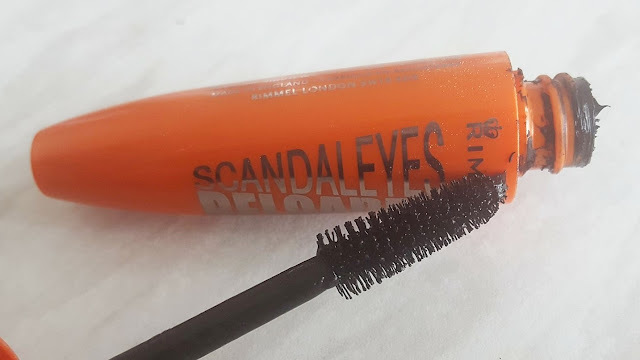 I've not tried this particular mascara before but with Rimmel being my trusty go-to brand for affordable mascara's I thought it was worth a shot and my Mum also recommended it too. 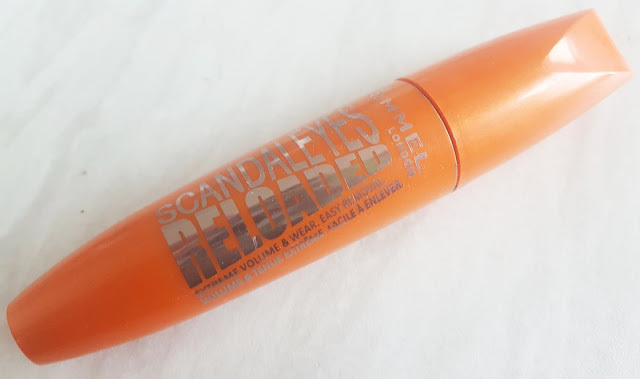 It's a pretty good mascara and I've continued to use it since but it's not my favourite mascara from the brand and I'd probably not buy it again. It gave me good length and volume but at times could be hit and miss and I'd find it would be a little clumpy in places. Not sure if this could of been me having a bad mascara day and being rubbish with the applicator. I find the wand to be a little on the big side for my liking too. Out of the two it's no surprise that the Scandaleyes mascara is the better contender. It also comes in at more than half the price too. Have you tried either of these mascara's? What were your own thoughts? Leave a comment in the section below.